Last weekend we ventured down to the New Forest to visit Katharine and Emilia, looking forward to a long Autumnal ramble in the woods and a trip to the beach. But the weather had other ideas and we woke up on Saturday morning to torrential rain, wind and very chilly temperatures. 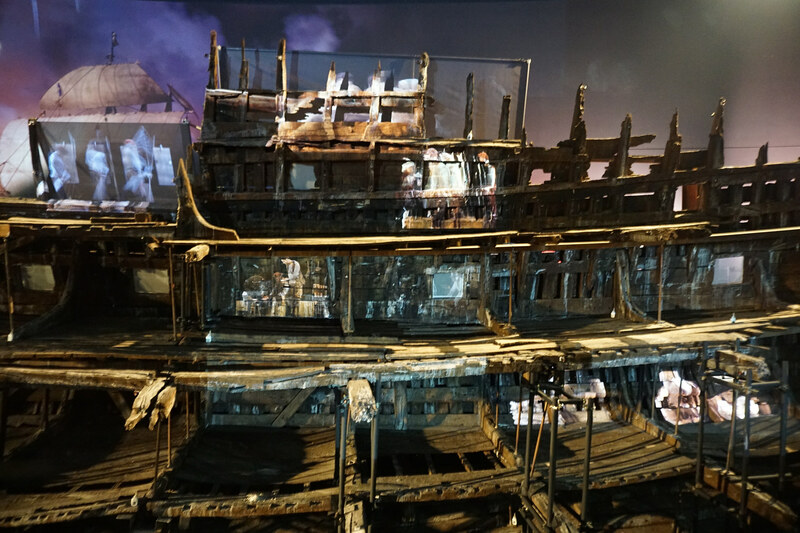 Not to be defeated, we racked our brains for somewhere indoor we could explore – and Katharine had the inspired idea to visit the Portsmouth Historic Dockyard where the new Mary Rose Museum opened earlier this year. 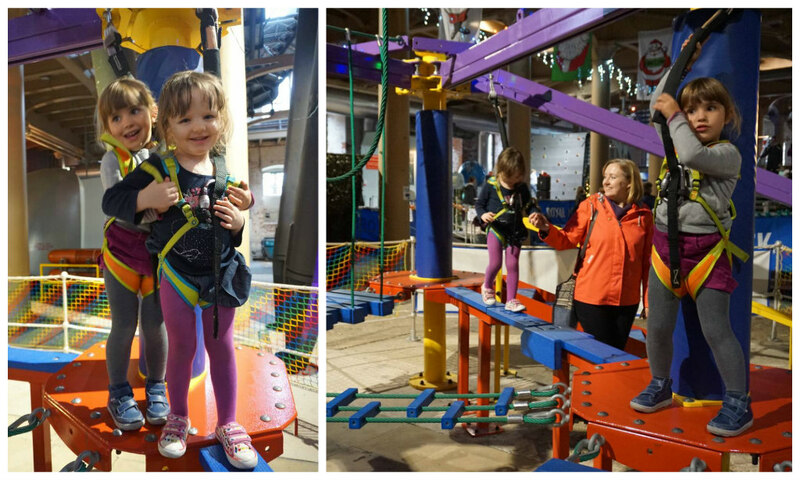 We were delighted to find that the tickets we purchased were valid for a whole year, so we knew we could take our time and not rush through all the exhibits. The site was enormous, with multiple attractions and even boat trips around the harbour. 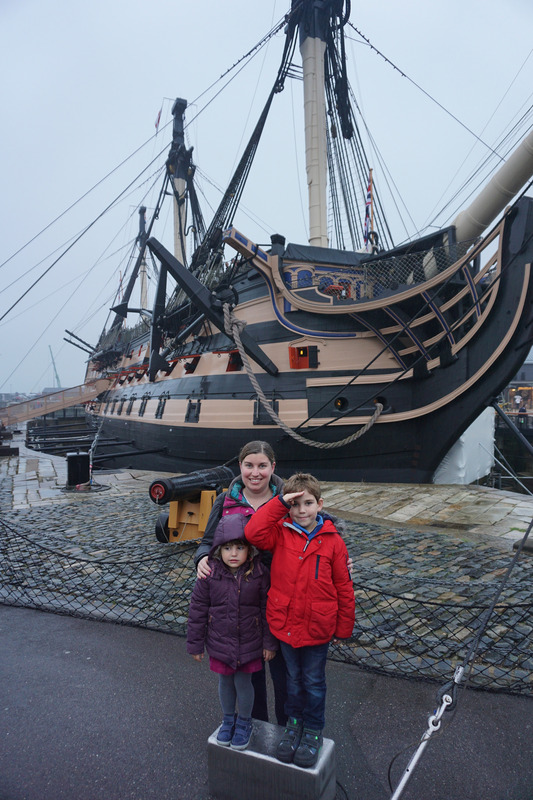 We posed for a quick snap in the rain by the impressive HMS Victory, Lord Nelson’s flagship. 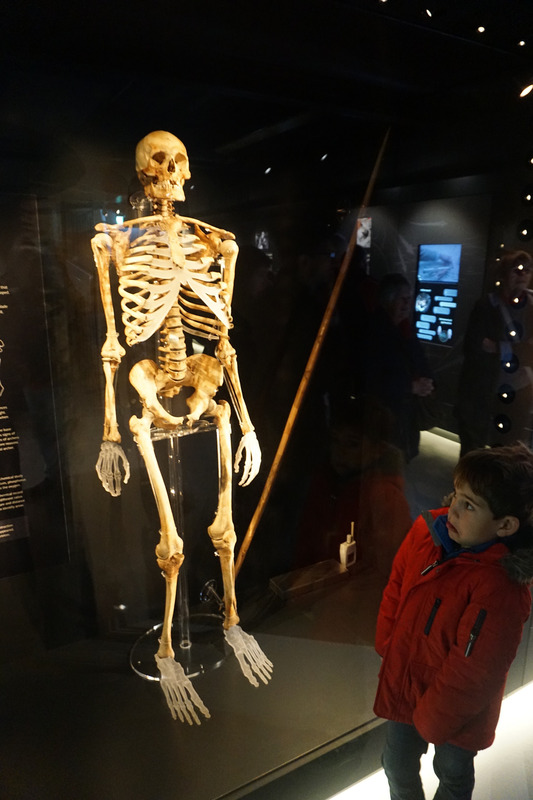 But our real focus was visiting the Mary Rose. 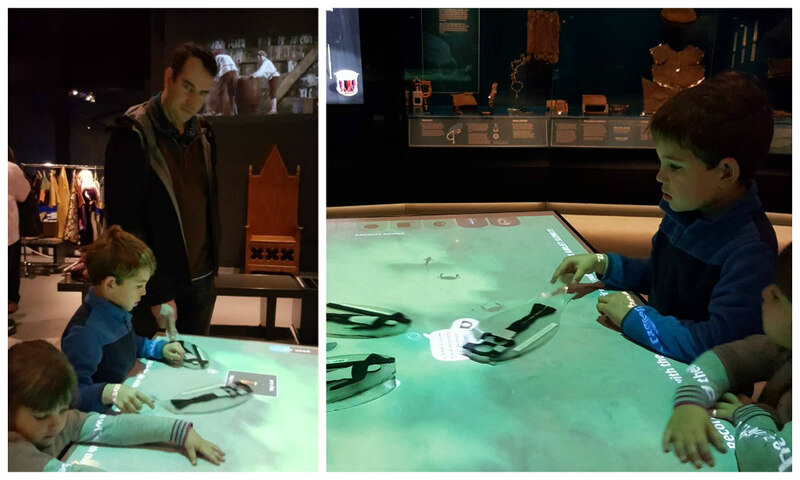 As someone who grew up in the 1980s with vivid memories of the raising of the Mary Rose from Blue Peter, I was so excited about visiting. And I wasn’t disappointed. For the over two decades, historians and scientists have worked to preserve and restore the wreck and the hundreds of objects salvaged from the seabed. This year the final phase of the restoration completed with the 500 year old wreck stable enough to be fully on show. It was absolutely breathtaking – and hard to capture the enormous scale in photos! 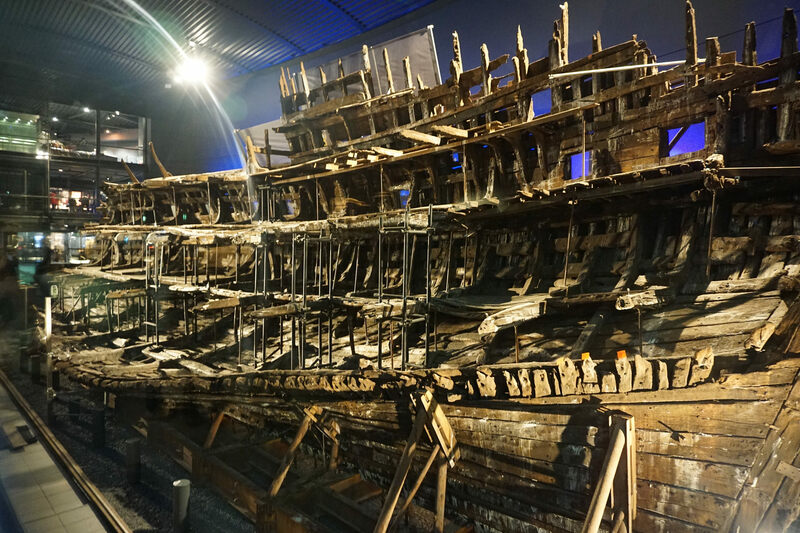 Mind blowing to believe that this ship was under the sea for nearly half a millennium and was commissioned by Henry VIII. 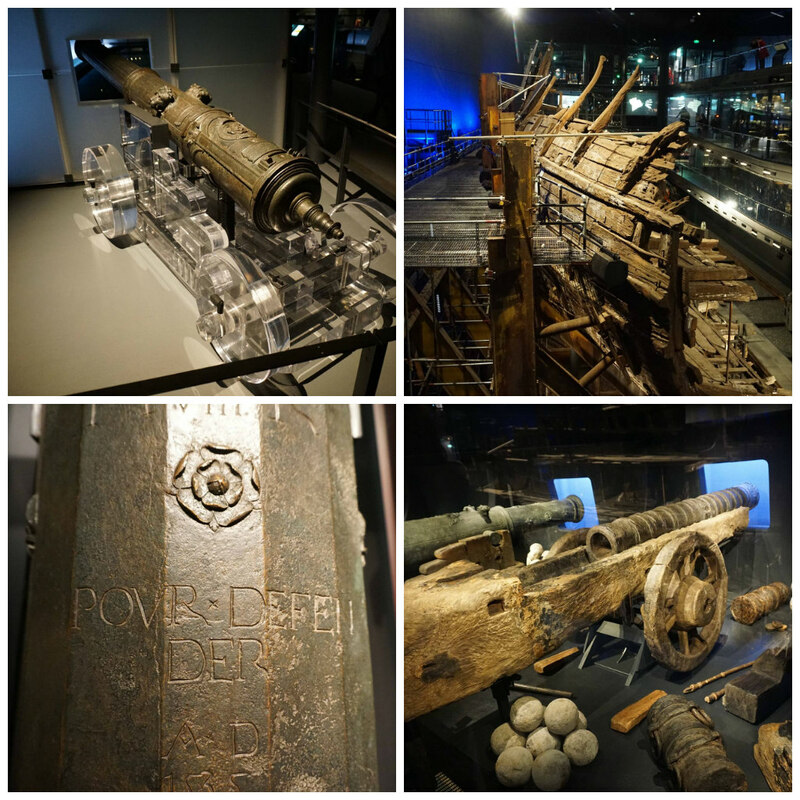 The museum is packed full of artefacts from the ship and we were amazed at how many there were – cannons, tools, weapons, personal items. I loved how they were presented as if on the ship’s deck ready to be used, and the historian in me appreciated how clear the museum made it which items were original and which were not by showing new pieces in perspex material. It really brought home quite how much had been salvaged and restored. 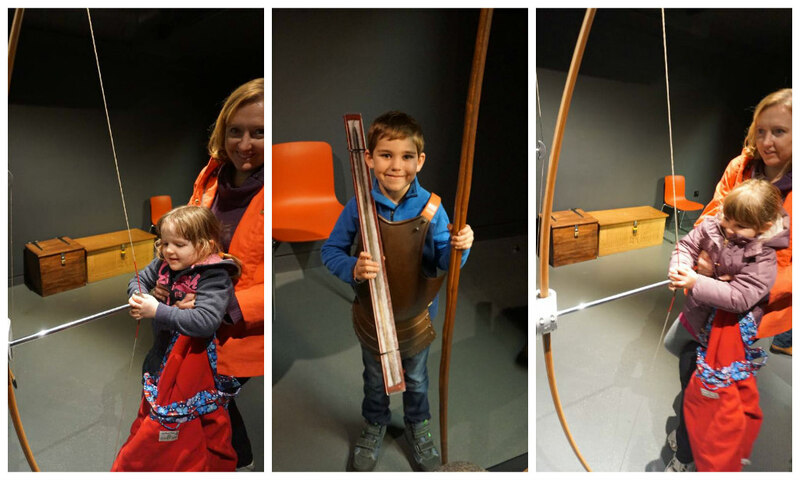 And here they were experimenting with the range of different types of guns to try and sink the French fleet! One of the things that really stood out for me was quite how much detail was offered. 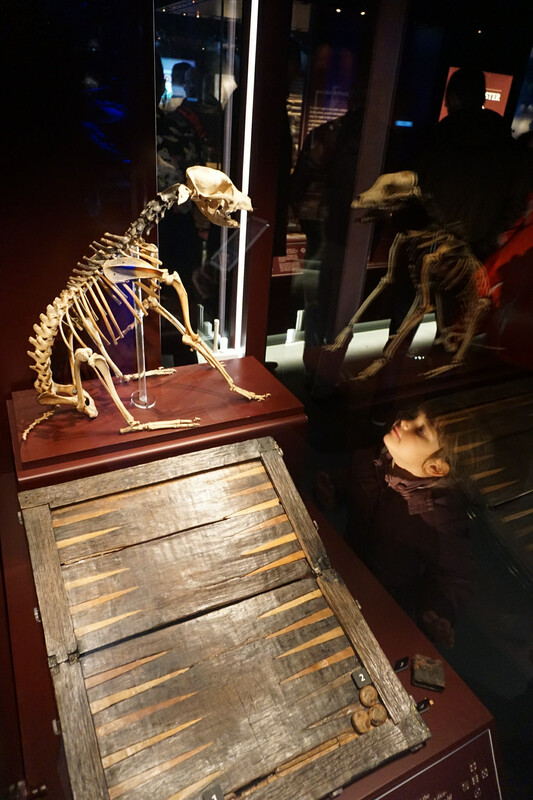 From twenty year’s of historical analysis, you were able to explore every inch of the ship and learn about the actual people who were there – and even the ship’s dog which Sophie and Alex found fascinating! 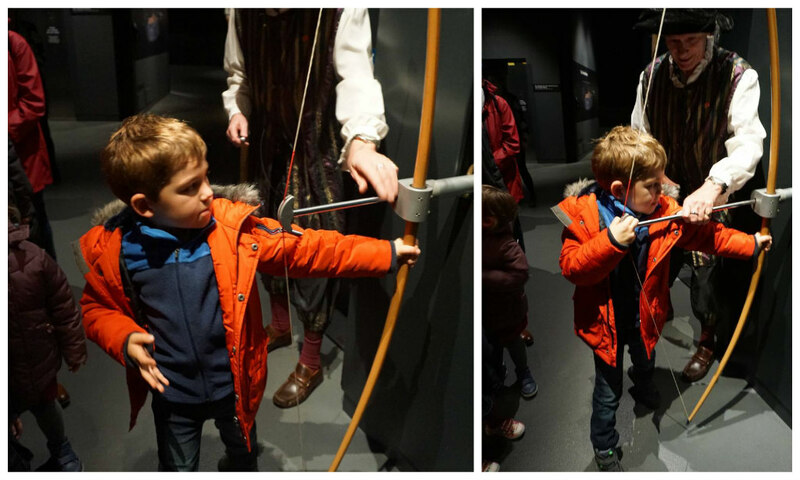 And Alex got to wear an archer’s uniform and hold a real arrow from the Mary Rose (safely encased thankfully!). 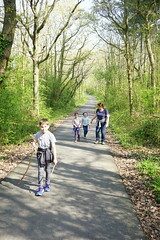 We all got to feel and smell some actual rope from the wreck – and get a whiff of some Tudor tar! Alex learned about the excavation process by pretending to be a diver detecting wreckage in the depths! 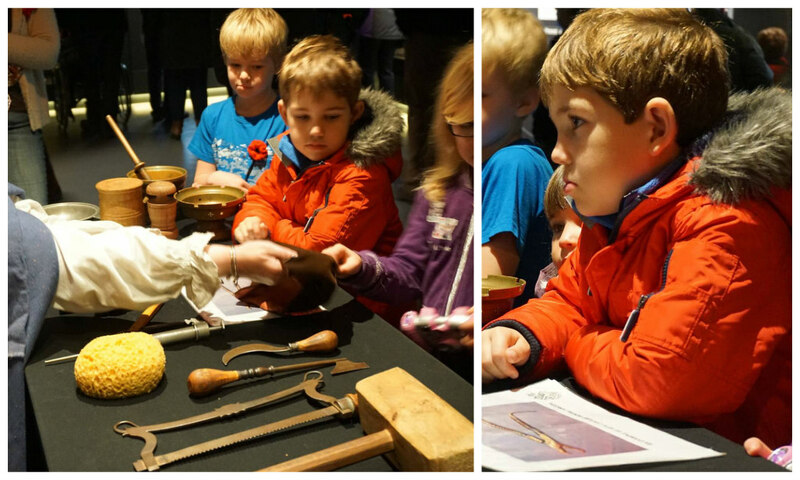 He also learned about Tudor medicine and the role of the ship’s physician by handling some of the surgeon’s tools and potions! 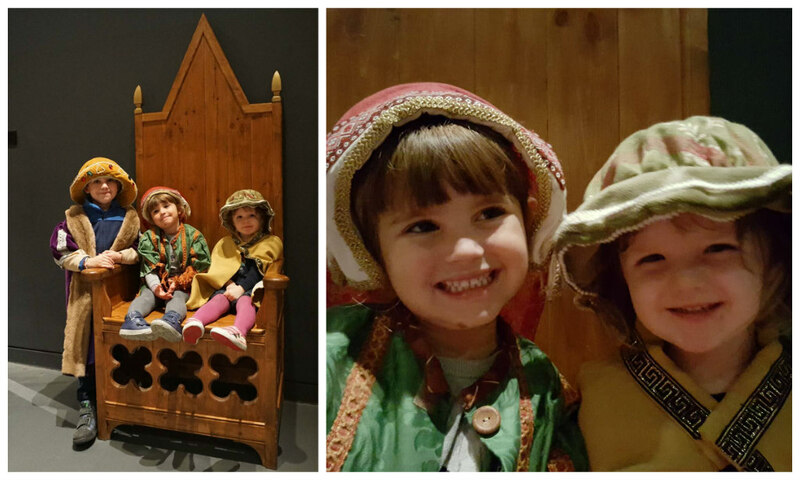 And best of all – they got to dress as Tudors! 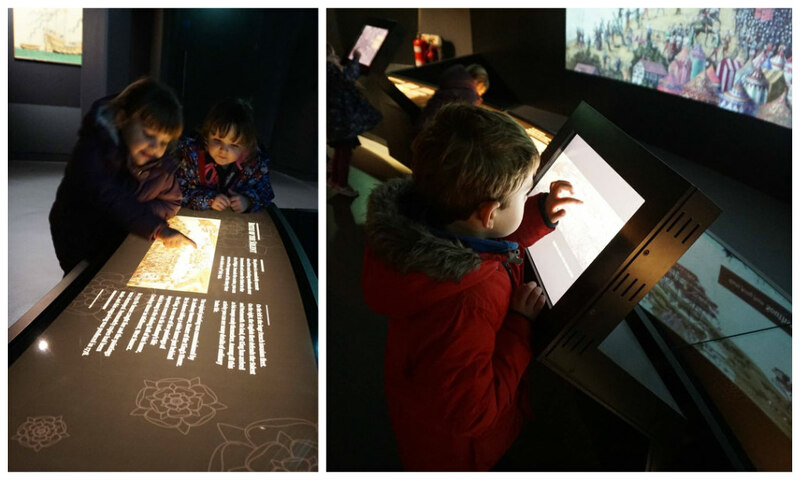 The Mary Rose Museum was outstanding – great for children and adults alike. The guidebook had suggested we allow two hours for the visit. 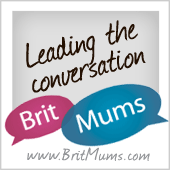 When I saw that I laughed, as my family tend to race around exhibitions super quickly – but we were so engrossed we stayed longer and I know I could easily go back and learn more. It was wonderful – moving, fascinating and showcasing the best of modern storytelling. We were quite tired afterwards, so we headed off for lunch in the Dockyard’s Boathouse No. 7. 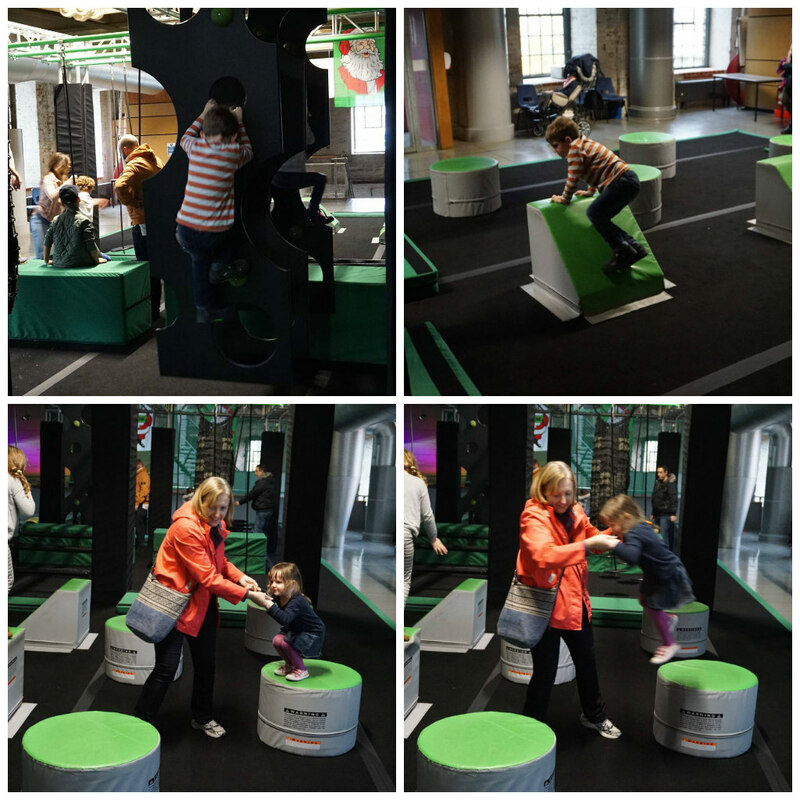 The food was delicious, and full of pie and cake, we headed next door to Action Stations – a huge boathouse packed full of challenges and experiments aimed to showcase the Naval experience. 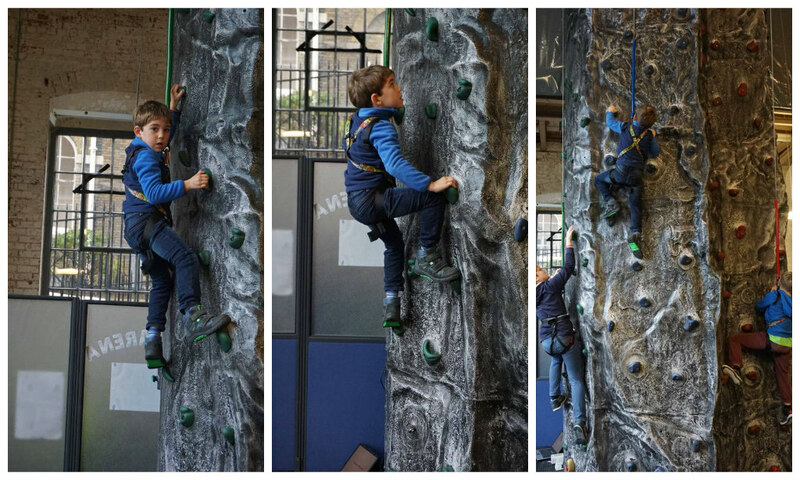 Alex immediately zoned in on the climbing wall and was quickly scaling the heights! And he loved the kickboxing-style reflex game! 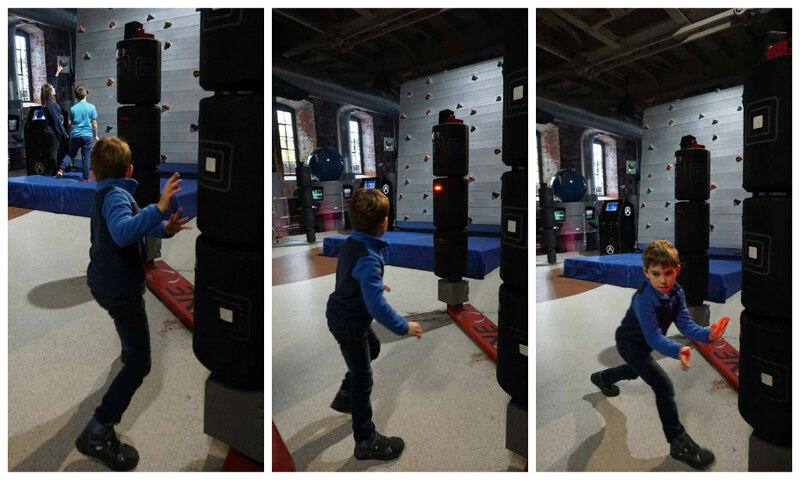 I think his favourite thing was the Ninja Force assault course where he made a pretty good attempt at navigating a challenging route without touching the black floor! Katharine and Emilia made a very solid attempt too! 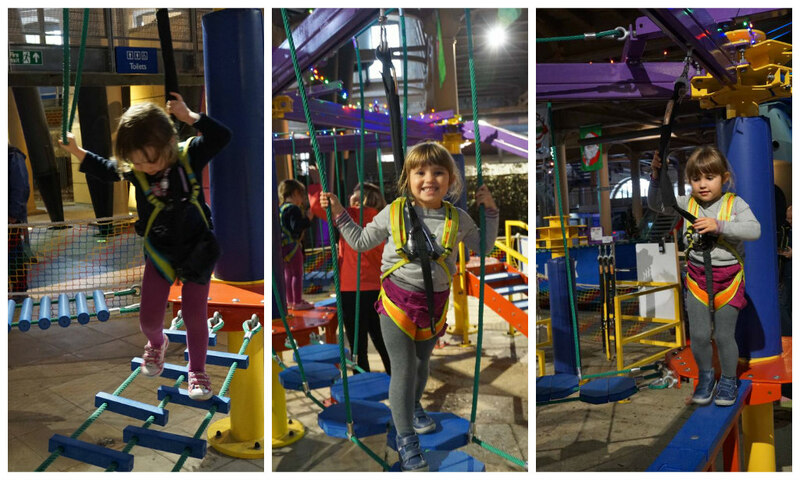 While Alex was climbing, the girls had a go at a rope course, wearing little harasses and exploring a series of raised pathways. 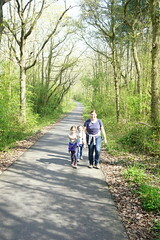 I think we’ll need to sign them up for Go Ape in the Spring, as they loved climbing and balancing! It was a perfect end to a great day at the Dockyard. And we’ve only seen a small amount of the exhibits there, so we’ll be making the most of our year-long ticket and heading back in the Spring to see more.